A 54-year-old man accused of robbing an Annapolis toy store at gunpoint was arrested in DC for another unrelated robbery. ANNAPOLIS, Md. 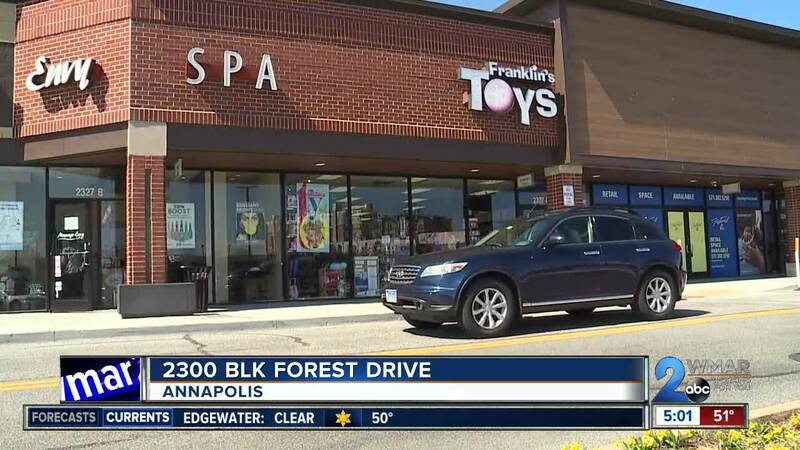 — It was at the Festival at Riva Shopping Center in Annapolis where police say a man old enough to be picking up something for his grandchildren, 54-year-old Harold Leon Wright, walked into Franklin's Toys to hold up the place. "It's very unusual to have a toy store robbed in the middle of the day,” said Marc Limansky of the Anne Arundel County Police Department, “It was early afternoon. This man walks into the toy store, displays a handgun, demands cash. The clerk complied, the store employee complied with the demands, and this guy fled." Police searched the area, but the armed robber had already slipped away taking the cash and the toy store employee's sense of safety and security with him. "Thankfully, there were no other individuals inside the toy store when this incident occurred,” said Limansky, “You know there was a fear there could be family members in there with children while this was going on and certainly that is something that we would not want to happen. Thankfully, that was not the case here." While the store owner did not wish to go on camera, he told us that he later learned the same man had gone in and out of the T.J.Maxx and various other stores in the shopping center presumably looking for the easiest one to target. His image, captured by a multitude of security cameras, gave police what they would need to ultimately track him down. "This individual was eventually tracked down by our investigators as we learned of his I.D. through investigative means. We were able to get some video footage and able to identify him that way,” said Limansky, “He's currently incarcerated in the District of Columbia on unrelated charges, a different crime so once he is released, we will serve the warrant on him. He'll be held on a detainer there." Police say Wright has no fixed address and is known to law enforcers in D.C. where he's currently being held. At this point, they have not recovered the handgun used to rob the toy store.